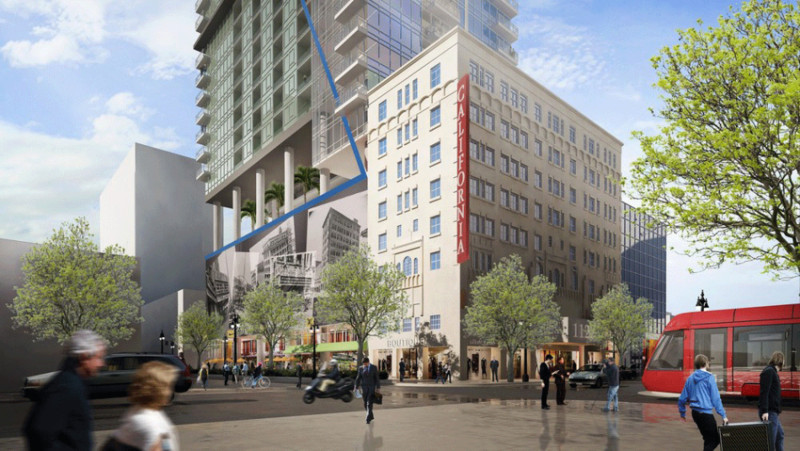 The historic California Theatre in downtown San Diego is finally receiving a replacement. But it will not be a theater. The nine-story theater is scheduled to be demolished on approval by the City Council to make way for an ambitious $125 million, 282-unit apartment complex. At 40 stories, The Overture will contain ground floor retail space and dominate C Street at 4th Avenue likely for the duration of this century as the California did in the past century. This growing trend of supplanting obsolete intercity improvements by coaxing them out of hibernation is a sign of enlightenment as cities build their way out of complacency and stagnation. Once completed and occupied, The Overture will infuse much-needed housing inventory in the area to aid in revitalization of the blighted areas in downtown San Diego. The project still needs to meet the approval of the Downtown Community Planning Council and Civic San Diego before an environmental impact report is presented to the Historic Resources Board. The City Council will then need to address downtown zoning restrictions intended to preserve office space, rather than provide a crucial and high-demand housing infrastructure. A final environmental impact report is expected to be issued for the project in the late summer or early fall, according to Civic San Diego. Expansive zoning best encourages density through greater height, allowing for increased housing volume with a smaller environment footprint – necessary to assure a healthy future for buyers and tenants in California’s real estate market. Mixed-use construction, like the type proposed for 4th and C, will serve the city by triggering ever more economic growth, civic involvement and greater community spirit. These multi-million dollar mixed-used buildings provide housing volume for people already attracted to San Diego’s urban center — namely Millennials and retirees. The demands for local goods and services of this upcoming demographic will help rid the city of otherwise dilapidated parts of the Downtown Core (the C Street corridor has been called “the boulevard of broken dreams”) and in turn allow for more development and upgrades to existing properties. Still, opponents, eager to preserve “old San Diego,” or just NIMBYs lurking behind environmental laws, resist the clarion call from the future. No NIMBY litigation is pending as no governmental decisions have been made, but expect opposition to heat up as the project works its way through the bureaucratic approval process. Essentially, the argument is between economic growth and the illusory undertaking of quaint nostalgia from times long past — romanticism. Seeking to appeal to the proponents for a more historical city, the apartments will contain an annex with a façade resembling the Spanish-style of The California Theatre. Restrictive zoning laws (like the downtown restriction on residential construction) cause prices to rise when the local support for real estate fundamentals is lacking. Like most coastal cities with poor planning for urban housing, San Diego has seen an intense demand due to insufficient inventory to fulfill it. This leaves San Diego, a city which has deliberately acted to attract people, with only one option: when people come to stay, build to house them or they will leave and leave the city in decline. Changing zoning ordinances (and historic building restrictions) to permit builders to do their part will bring down rents, prices, crime and homelessness. The San Diego City Council appears to acknowledge the value of increased residential development in its city center. 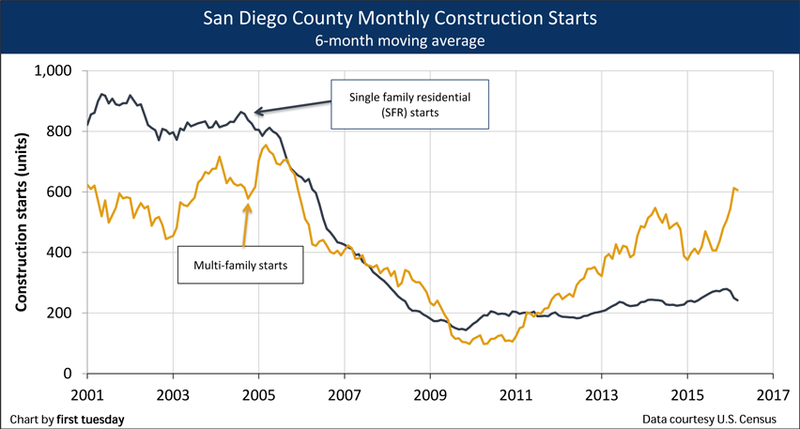 San Diego’s multi-family starts have been on the rise since 2011 due to the increased demand for rental housing caused by Generation Y and retiring Boomers. As the younger Millennial generation looks for housing near their places of work and close to cultural amenities not found in the suburbs, they and their retiring Boomer parents will increase the demand for multi-family construction. To attain sustainable progress for the remainder of this decade and avoid distracting rent control discussions, a change in zoning policy needs to be nurtured by all. 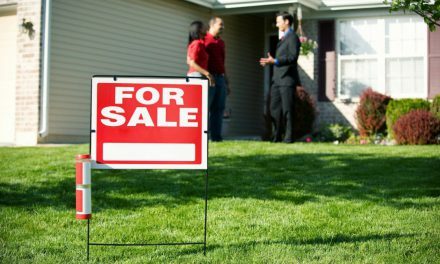 NextClient Q&A: What is an Income Property Brokerage (IPB) marketing package?